I hope everyone enjoyed the Christmas weekend and is getting ready to bring in the New Year. I took a little break from blogging and social media and it was worth every minute. I can’t believe 2015 is almost over! This year flew by and I find myself saying that more and more every year as I get older. It’s just craziness. Seems like only yesterday, we were celebrating last Christmas. Anyways, I wanted to do a little recap of some major projects we completed in our house this year and some fun things I was honored to be a part of this year. My first project in 2015 was this DIY grocery sign for our dining room. It is one of my favorite projects to date and something I had wanted to try for a long time. I get a lot of questions about it on Instagram and no one can believe it’s a DIY. My dining room is getting a little makeover this year, but my grocery sign is not going anywhere. 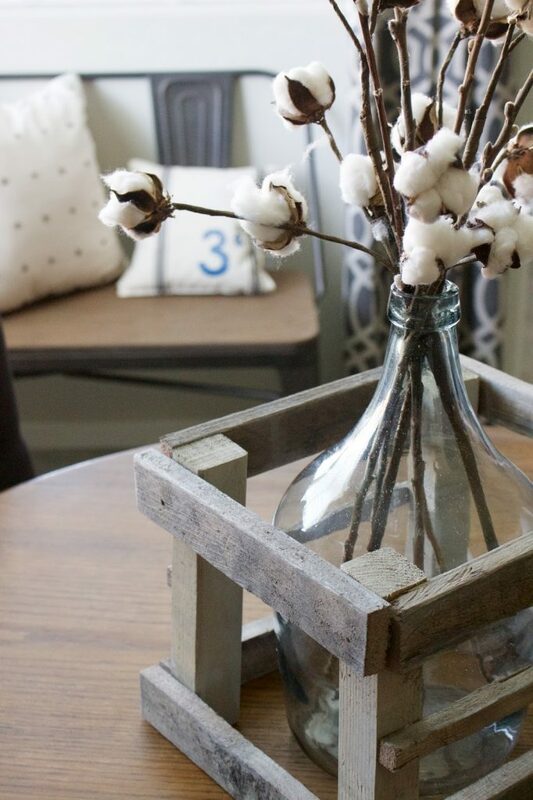 Another successful DIY we completed early in the year was an easy sofa table. I wasn’t able to find a sofa table that met the specifications for our living room, so we decided to make one. A few months later I eventually found one I loved from World Market that fits perfectly, and this table is now in Joe’s garden shed and holding all of his supplies. 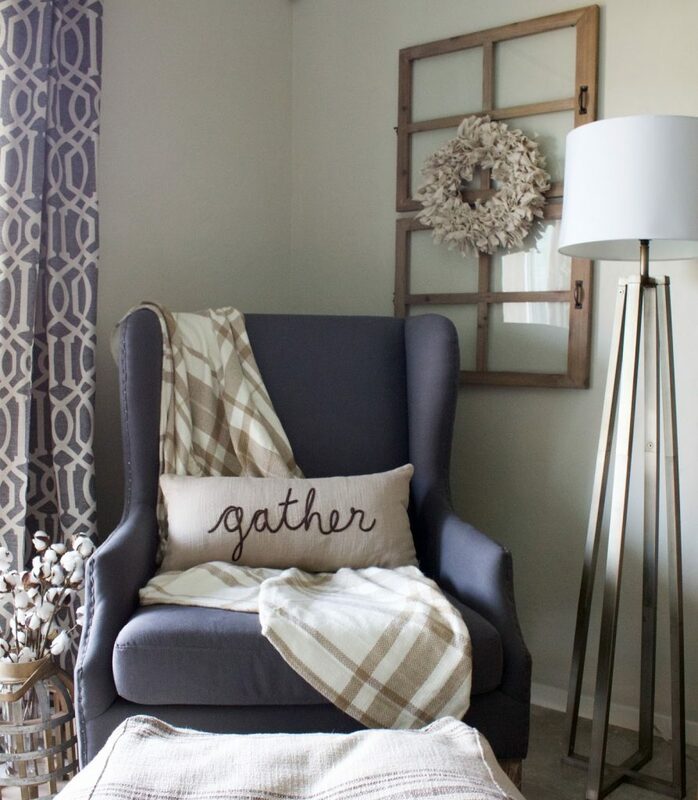 Even though we aren’t using it in our home anymore, it’s still getting good use and is one of the first DIYs we did together. This year I also started my weekly Target Thursday posts and you can check out my very first post. I always get excited when Target comes out with their new Spring decor and I’m looking forward to it this year. This year for my posts, I may start posting more in-store pictures as well. My biggest and most popular project of this year was my IKEA Tarva hack. We love them and use them everyday. Its our drop zone when we come home from work, shopping, etc. And they’ve been great for extra storage of my home decor items. Even though this DIY sliding barn door project isn’t as popular, it is my most favorite project of the year. I put a lot of blood, sweat, and tears (ok, mostly sweat) into this and I’m proud of it. We use it everyday so it’s been one of the most useful projects in our home. It still amazes Joe that I even built it and I think that it was game changer in our diy/decorating relationship – he lets me do whatever I want now! Haha. A small update but one of my favorites is my living room update with Jonathan Louis furniture. This pouf is one of Scooby’s favorite places to take a nap and it gets moved around our house frequently. 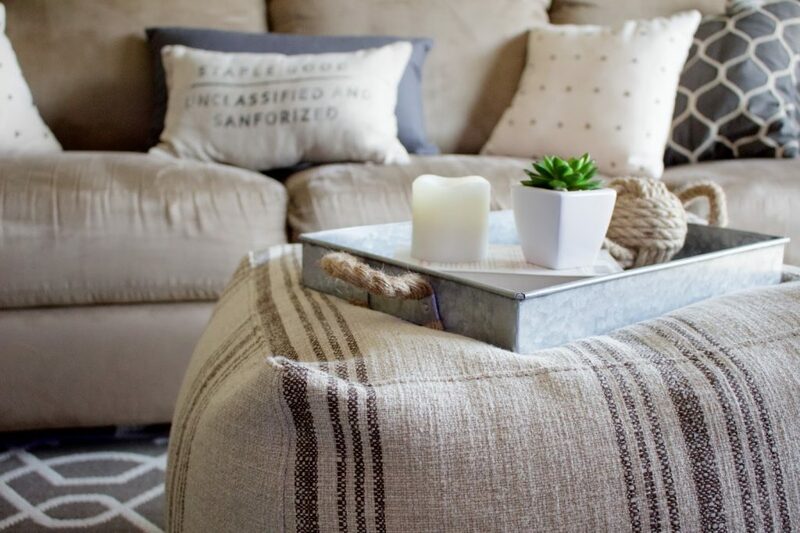 I have big ideas for our living room this year and can’t wait to share! 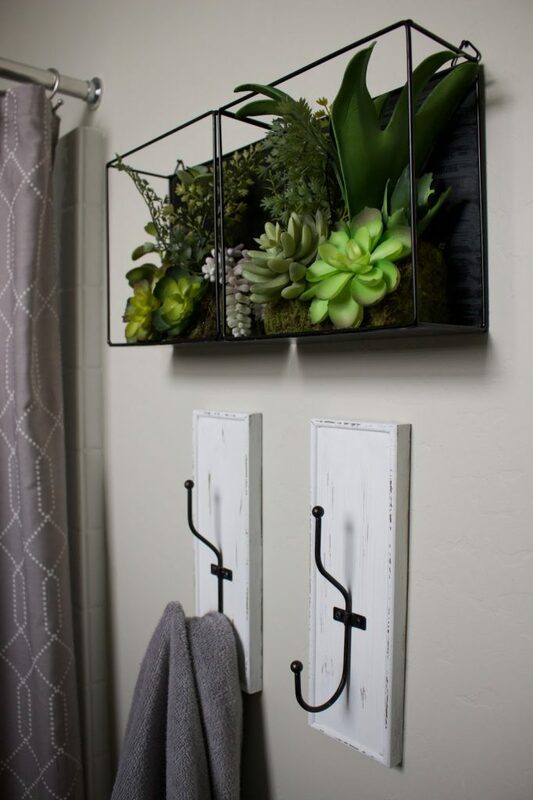 An easy but much needed update in our home was replacing all the builder grade bathroom towel racks with these updated hooks instead. I’ve gotten a few questions on these, so here is a little update – we love them! I had trouble with some moving around and putting scratches on the wall, but I fixed that by putting a Command Strip on the back. Overall, it has saved me a lot of headache since I don’t have to worry about perfectly hanging towels anymore. This fall was when I really started blogging consistently and posting more of my projects. For the fall season I completed a few DIYs and crafts including the drop cloth wreath and crated glass bottle. You can also check out more of my holiday projects. During the Christmas season, I didn’t do very many projects and mostly just decorated. However, I did update my existing Christmas village by repainting them white and adding silver glitter. 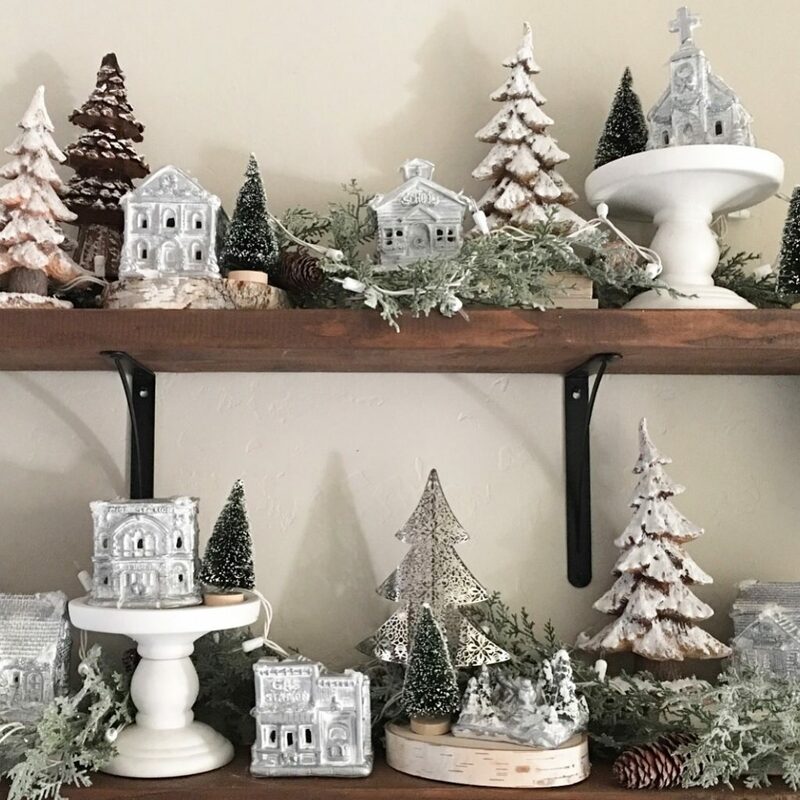 To see more of my Christmas decor, check out my blogger Holiday Home Tour and Christmas One Room Tour. It has been such a great year and I can’t to see what next year brings to our home and family! I have many projects planned and can’t wait to share them all! Do you have big plans for the new year?